In the summer of 2014, over 100,000 Central American children and families were caught trying to enter the U.S. illegally. Those numbers fell after the U.S. asked Mexico to strengthen interdiction on it southern border. But now there are concerns because the numbers appear to have risen recently. For context, I spoke with Alberto Arene. He is the former chief of CEPA, the Spanish acronym for the Salvadoran agency that runs the country’s airports and ports. I asked him the fundamental question, why can’t yourselves and your rivals at least contain the bloodshed? “People fear us,” he said while standing in a small cinderblock basketball court at the bottom of a manmade ravine inside the prison. “In reality we’re not out to hurt people. We just fight among ourselves,” he said. 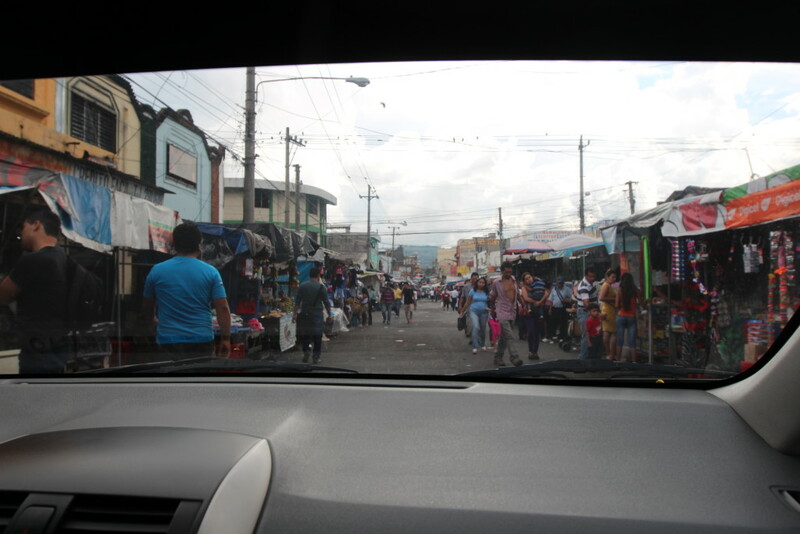 Here’s a sample of a day in the life in the center of San Salvador. 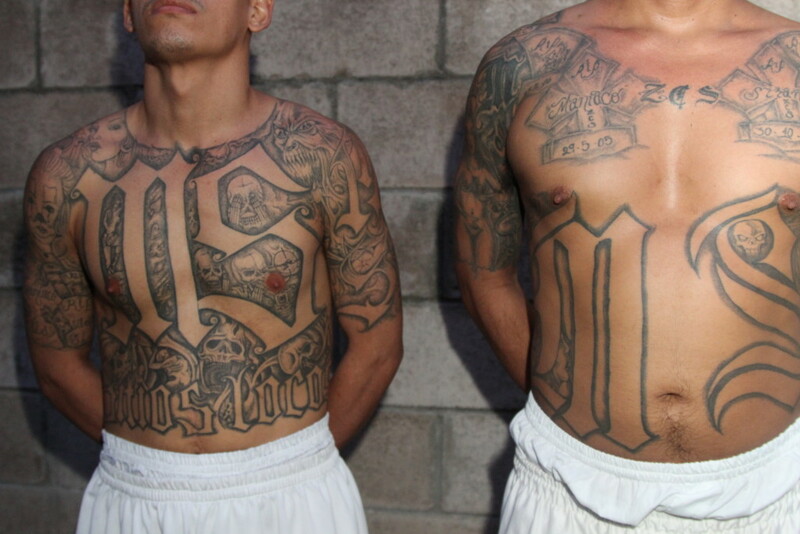 “We’re in an uncontrollable situation,” he said in Spanish referring to organized crime. 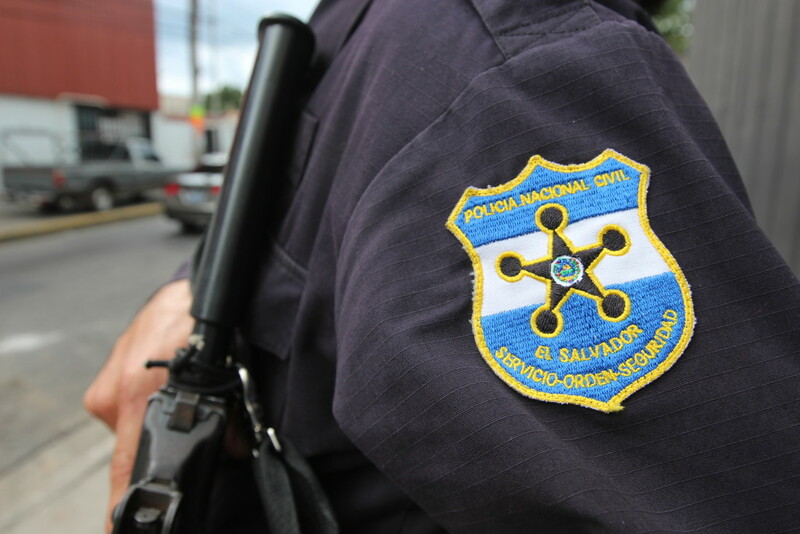 Salvadoran police said gangs not only demand extortion, they also judge and sentence people — to detention or death — and they decide where people can live. “We are who we are, from the streets,” he said in Spanish. 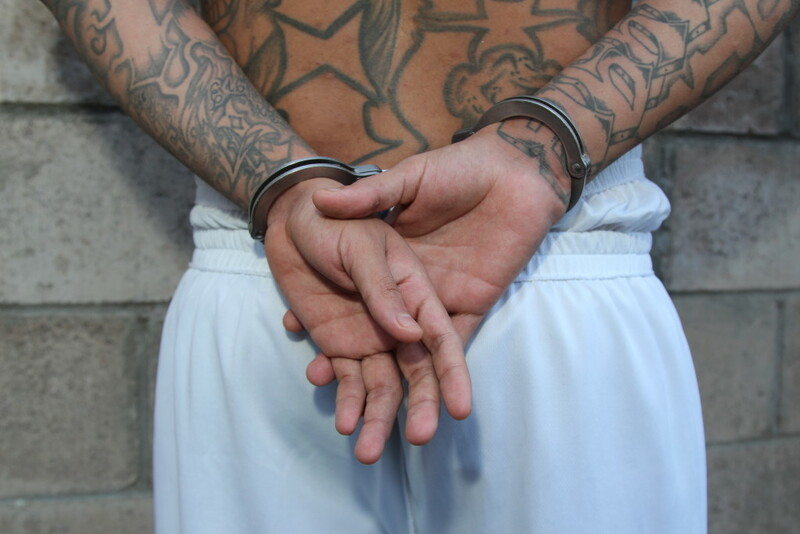 Staring at a cinderblock wall, he echoed the gang’s public mantra— a challenge to the Salvadoran goverment. “That’s a wrong approach because a lot of the economic and political elites of this country have done a very poor job in this post war era,” he said. “Our prisons are jammed,” he said. The lieutenant also asked that his name not be used, wary of the possibility of retribution. “The best way to help our country would be investment by the U.S. government in our goverment, to create social programs and violence prevention.” He said that might succeed in convincing people that they can stay in Central America. This entry was posted in fronteras npr stations, Photography, Radio, Resources and tagged el salvador, lorne matalon, san salvador. Bookmark the permalink.